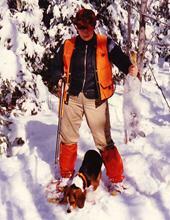 My love for nature lead me into becoming a Master Maine Guide in 1983. I love sharing the beauty of nature. 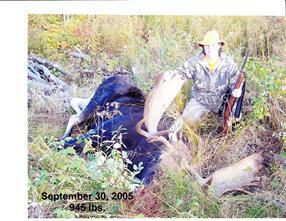 My goal in becoming a Maine Guide was to learn as much as I could from all my sports. I feel that it is a win win situation, I learn from them and they learn from me and we have a great time together. I have been a guide for over 30 years now and have a wealth of information from it. 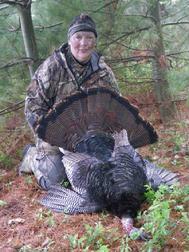 I guide in hunting, fishing and recreation. My most valued companions are my Brittanys. 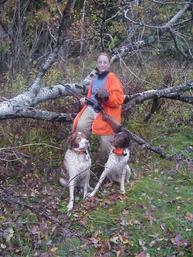 They are by my side most of the time and I cherish my time in the woods with them greatly. There is nothing like watching them work in the woods, it is a joy just to see how smart they are. 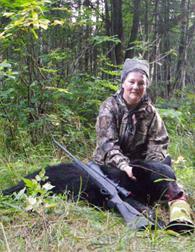 I am a Hunter and Archery Safety Instructor and also teach Outdoor Survival for the BOW classes of the Maine Inland Fisheries and Wildlife. 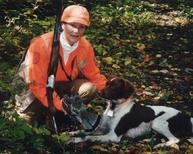 I am also an active member in the Ruffed Grouse Society and in the Central Maine Brittany Club. 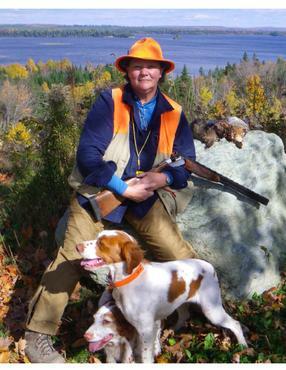 My other job is a Sales Rep. in the Hunting department at LL Bean's in Freeport, Maine. I try to give back more than I take in this life; many of my art pieces are donated to different nature related organizations. Maybe you are interested in just taking some wonderful nature photographs, if so send me an email and I am sure we can plan a great outing and photo tour. 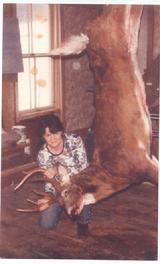 Maine Buck 8 pts. 214 lbs. 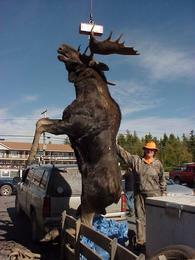 Maine Bull Moose 53" spread 945 lbs.